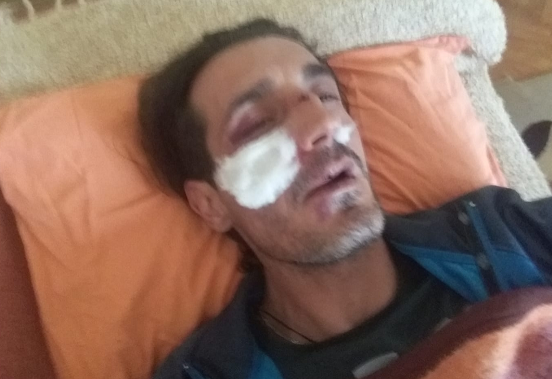 A disabled man from Radovis was allegedly beaten by the son of local Mayor Gerasim Konzulov. According to the Infomax news site, the victim is Zdravko Stoilov, a man with a physical disability. Stoilov was a supporter of the ruling SDSM party and its “Colored Revolution” protests, but recently turned on them and was an outspoken in his calls for a boycott of the presidential elections. Ivan Konzulov, one of the sons of Mayor Gerasim Konzulov, allegedly beat Stoilov up on Friday. Stoilov shared his injuries on Facebook and pointed out the Mayor’s son for the attack. This is the second severe incident involving the sons of a local SDSM official in a short period of time. The sons of the former SDSM Mayor of Petrovec, now high ranked police official, Zvonko Cvetkovski, stabbed a young police officer in March, inflicting serious injuries on him. The father of the attacked man claims that the attempted murder is being covered up by the police.